When Tacia and Gabe were planning their wedding day, they told me what they were looking forward to the most was their First Look! And y’all, that special moment did NOT disappoint! 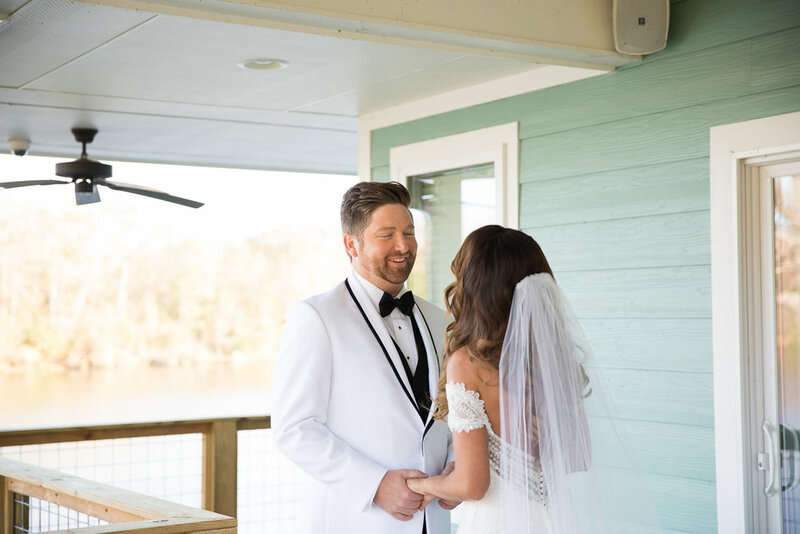 Their summer wedding at Old Waverly was a joyful blend of sweet southern elegance and lighthearted celebration, and it was full of fun surprises and personal touches. Want to guarantee that Valentine’s Day is extra special for your sweetheart? Write them a love letter! Here are a few tips on how to get started. Three years ago, a little extra bit of sunshine came into the world. I’m celebrating a special birth story on my blog today! Mallory and Dale had the sweetest, sunniest September wedding at the Hewlett Barn! Their happy day was full of darling DIY details, precious keepsakes, and FUN! Carley and Clint’s relaxed and joyful May wedding at the Hewlett Barn and Stables was a perfect blend of romance, sweetness, and FUN! Last November, we photographed Michael and Juliana's super stylish black and gold wedding on the river on a PERFECT fall day! Their after-dark wedding was one of the most touching and unique ceremonies we have ever been blessed to witness. Remember how Tropical Storm Cindy had us all worried last June? She blew through the Gulf Coast just before this precious couple's wedding day in Ocean Springs! Even though there were flood warnings everywhere, the sun came out for us, and Lauren and Kyle had an AMAZING wedding day! I have some exciting news, y'all - our photography business has gone live with a new name and a new look as of TODAY! We have been You Call the Shots Photography since 2009, and it's been a wonderful journey for us under that name! So let me take a quick moment and tell you about our new name, why I chose it, and what HASN'T changed. Stil not sure about a First Look? Here's a rundown of the pros and cons! By thinking through each plan, you can positively address any potential "cons" with your wedding team, and design the experience that is PERFECT for you! When we photograph a wedding, we are taking ephemeral moments and making them permanent. Eudora Welty said, "A good snapshot stops a moment from running away," and I think that's a big part of what I love about what we do.